Exc. 2004 model Fender American Series 50th Anniversary Stratocaster - unplayed! The Fender American Series 50th Anniversary Stratocaster features three Custom Shop Vintage 1954 single-coil pickups, a special commemorative 50th anniversary neck plate, and "Parchment" knobs and pickup covers. 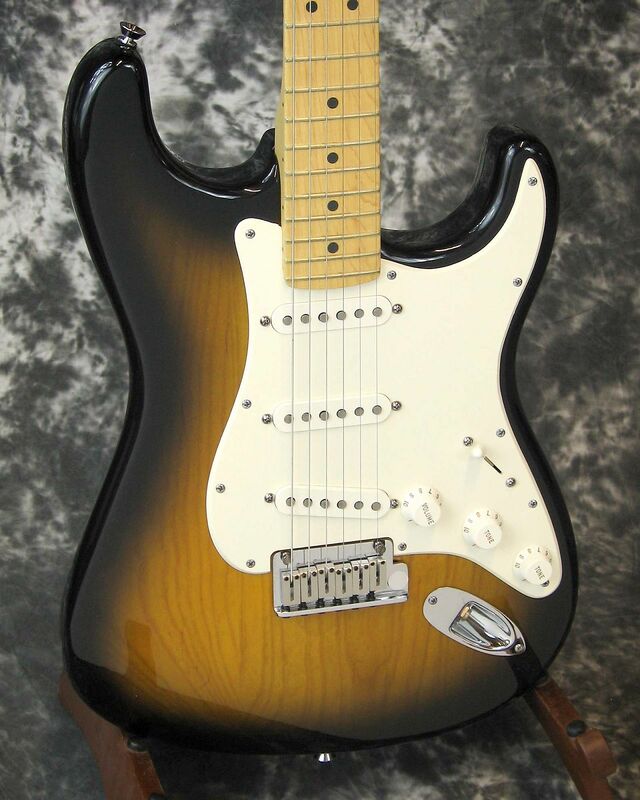 The 50th Anniversary American Series Stratocaster also utilizes the "Delta Tone" system, which includes a high output bridge pickup and special no-load tone control for the middle and bridge pickups and it includes a Deluxe Tweed Hardshell case. 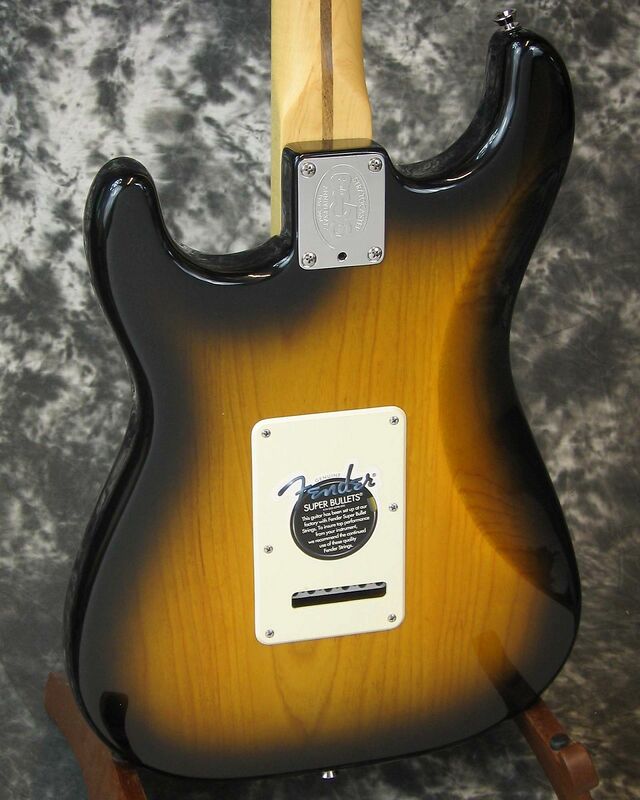 The solid ash bodies with polyurethane 2-Tone Sunburst finish, maple neck and parchment pickguard evoke the classic look of the original 1954 Stratocaster guitars, while the Fender American Series synchronized tremolo bridge, custom staggered tuning machines, 9.5" radius fretboard and medium jumbo frets add a modern touch. To give the 50th Anniversary American Series Stratocaster guitar even more of a vintage vibe, the 50th Anniversary American Series Stratocaster features the same 1954 replica pickups used on the Custom Shop model. 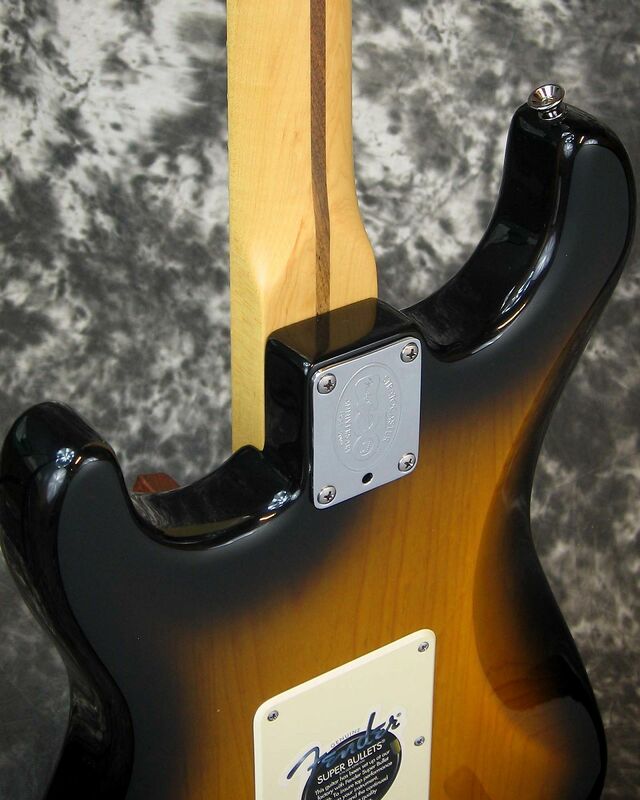 It also features a special engraved neck plate that celebrates the anniversary. 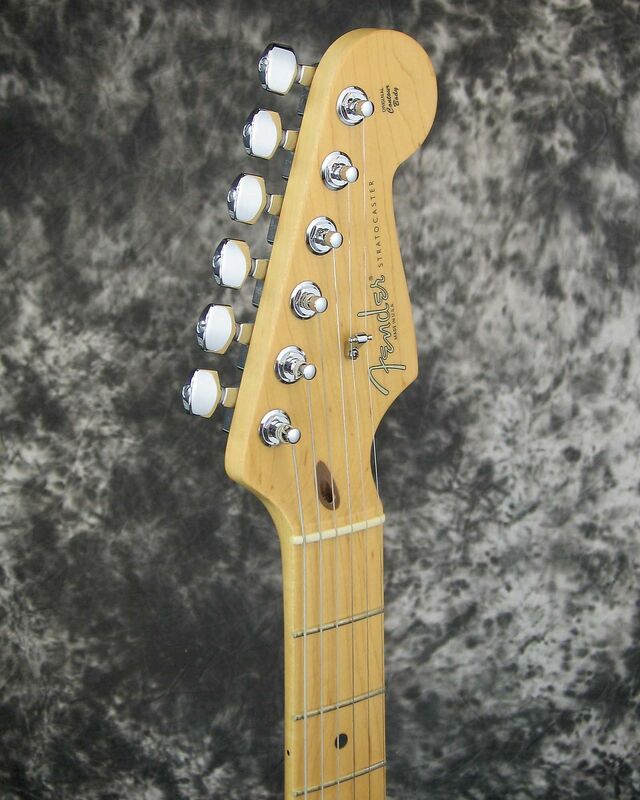 This 50th Anniversary Stratocaster is used in excellent condition. 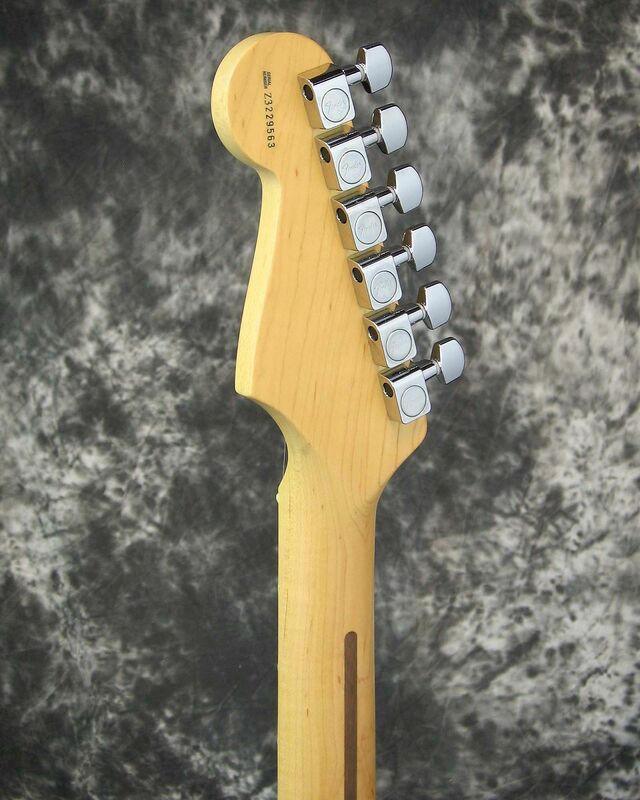 The guitar has been practically unplayed since manufacture. The body has a couple of very tiny clearcoat scratches, but that is the only flaw that we can find on the instrument. Fretwear is nonexistent, and everything appears perfect. 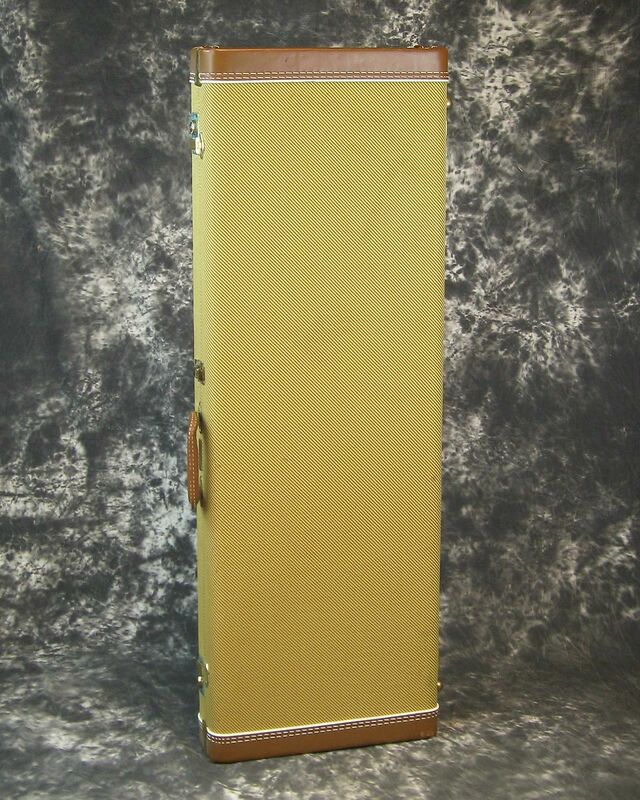 It includes the original G&G tweed hardshell case, which has a few minor exterior stains, and all case candy. Based on purchase price of $1,699.99 at 10% APR for 12 months. Excludes tax and shipping fees, to be calculated at checkout. Rates range from 10-30% APR. Choose from 3, 6, or 12 monthly payments. Select Affirm at checkout to get started.